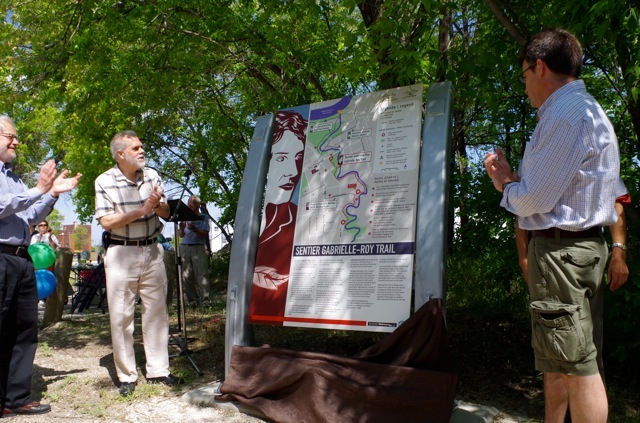 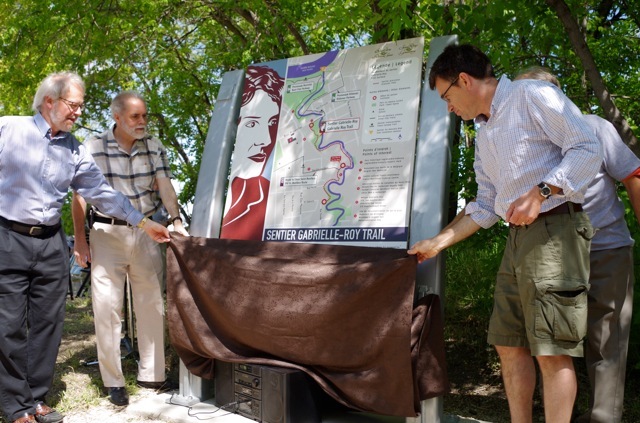 June 8, 2013 – Launch of “Eyes on the River” and unveiling of of Trailhead Signage for the sentier Gabielle-Roy Trail. 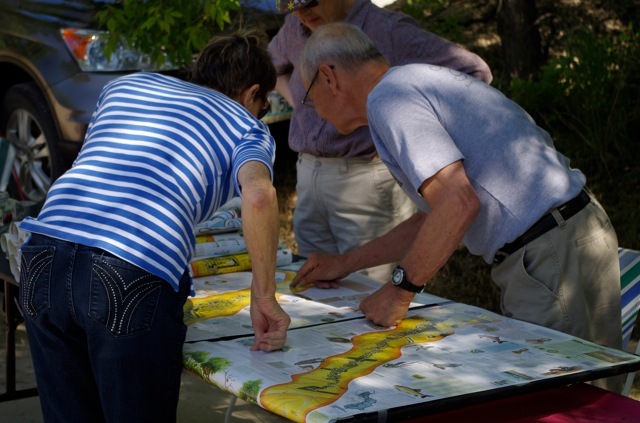 -Checking out the Seine River Greenway map. 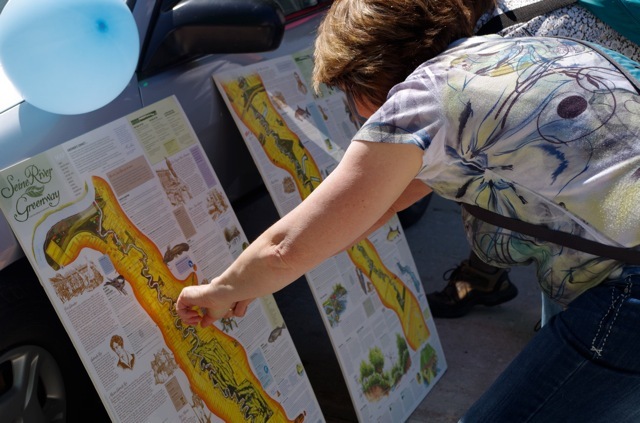 Come to the next SOS event to get your own copy! 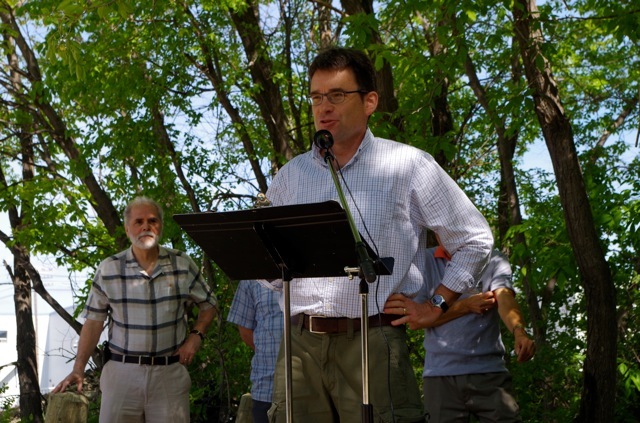 -SOS President Denis Gautron provides introductions and welcoming remarks. 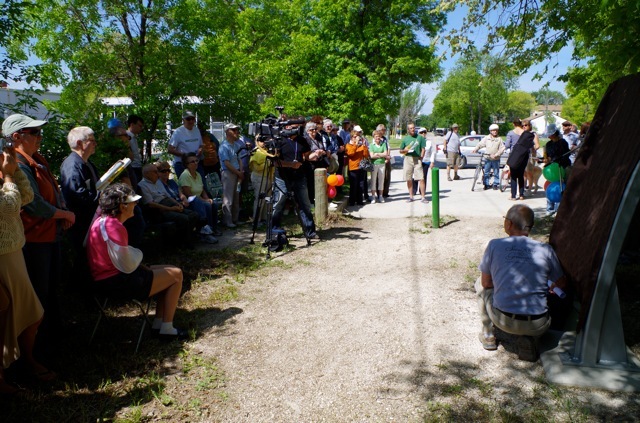 -Councillor Brian Mayes addresses the gathering. 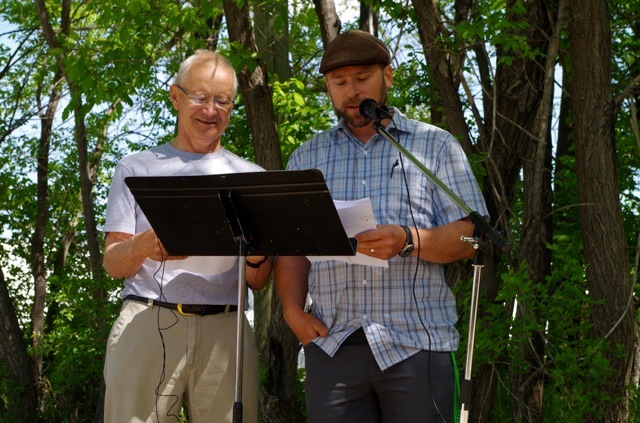 -SOS volunteer Ed Labossiere and SOS board member Alain Cenerini speaking. 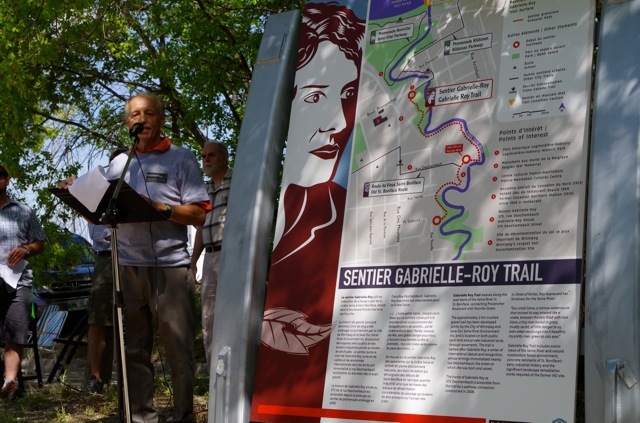 The suspense is over, the unveiling of the sentier Gabielle-Roy Trail! 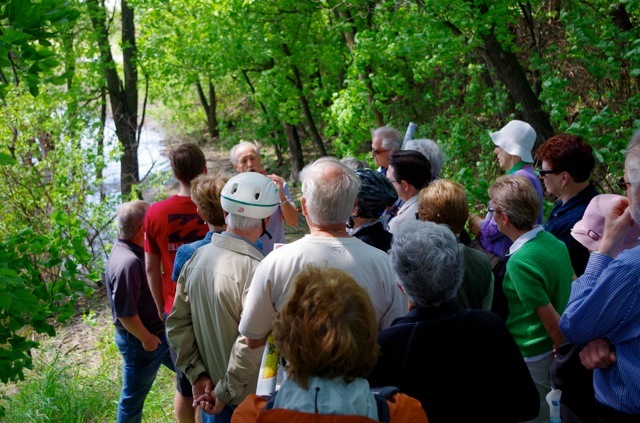 As always, the crowd can’t wait to depart for a walk on the beautiful Seine River Greenway!